UPDATE: Rbeey Swan is the winner of the gift card! 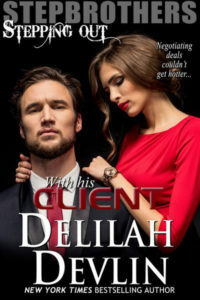 Thanks a bunch for the blog invite, Delilah! A big, down home wave is coming your way from the Southernmost point of the USA! Since this is my first visit to your spot, let’s get acquainted with a little Q&A. Afterwards, you can read an excerpt from my latest release in the Bachelors of Shell Cove series, CONVINCING LINA. I am a hybrid of the two–a plotster. I create a loose plot diagram for the beginning, middle, and end of my manuscript. It takes me about six hours to record the turning points, and then I start writing. Salt and pepper. I write at my dining room table. E-books, print, or both? Any preferences? Why? I love the feel of a book in my hands, but I can read about 400 pages per day. Translation-buying print books when you can read a book a day is a financial disaster in the making. Digital books are purse friendly. What’s the strangest thing you’ve ever done in the name of research? I travel to most of the destinations mentioned in my books. In the past twelve months, I’ve visited Ireland, the Dominican Republic, Peru, West Virginia, Florida, New York, and Texas. My husband is so over the novelty of research! Music while you write? What kind? Each one of my books has a soundtrack. Generally, the soundtrack is a mixture of rhythm and blues, country, and soft rock. I tend to listen to the soundtrack before I start my writing day. Email/social media before or after you start writing? I spend 15 minutes on social media, eat my breakfast, and then I sit down to write. This routine helps me to focus on the task to come-writing, not the fear of what will I write today. What do you read? Do you read different genres when you’re writing vs not writing? I read fiction and non-fiction. Typically, I read historical fiction to relax. I’m a retired nurse practitioner and I enjoy reading about nurses and the nursing profession. Currently, I am reading NIGHTINGALES, The Extraordinary Upbringing and Curious Life of Miss Florence Nightingale. 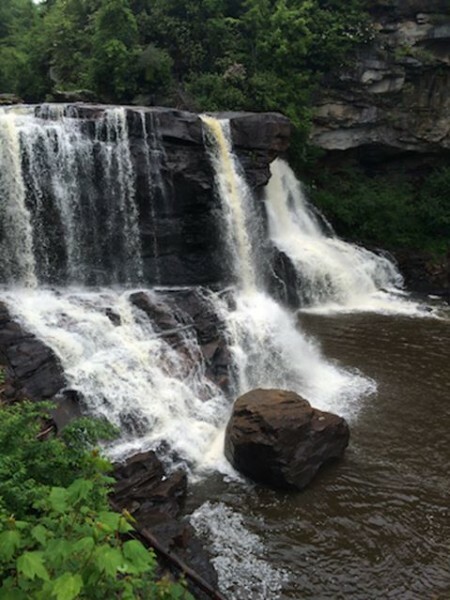 In CONVINCING LINA, the story starts in sunny Shell Cove, FL before the hero whisks Lina away to Waverly Falls, WV. Lina James is a curvy psychiatric nurse that has a lingerie drawer full of thongs. Curvy women rise up and take your rightful place in the Hall of Heroines. I’m a southerner, so sweet tea is my coffee. I take this stuff intravenously during my writing sprints. I would be the color Sunrise. A combination of the sweetest Florida oranges, the energy of Gala red apples, and the happiness of yellow marigolds in full bloom. 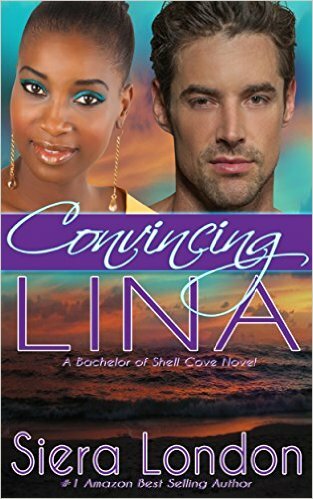 CONVINCING LINA, is Book 2 in the Bachelors of Shell Cove series. Lina James, psychiatric nurse and self-proclaimed independent woman isn’t going to allow another man to walk out of her life. Her love is officially off the market. She’s declared a preemptive strike on the male species with a man-fast. There’s just one glitch in Lina’s detox plan–Gideon. Her blood sugars spikes remembering the one kiss they shared. Gideon Rice, is a veteran Marine and respected psychiatrist with more emotional wounds than his patients. He lives his life in camouflage–a wall between his rejection filled past and his new life ensures the two worlds never intersect. 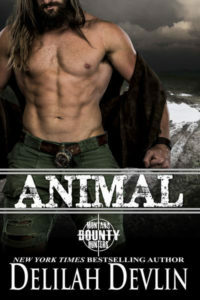 Gideon’s life plan is simple–give wounded warriors a place to heal and convince Lina James she’s the only woman for him. When Lina’s past brings danger to her doorstep, she’s forced to accept Gideon’s help. His tender touch and determination to keep her safe, rocks the foundation of her man-fast, but she’s determined to resist her cravings. How will she keep him at arm’s length when he is the safe haven she’s always wanted? In a high stakes game of cat and mouse, how will they find the courage to risk their hearts in a fight for their lives? How many times had she believed a man when he said he was with her to stay? She had scoured the “sucker” tattoo off her forehead. Those words no longer held value. Words that were too easy to disregard, forget, or abandon. She knew from experience. She exited the master suite dressed in a royal blue cotton sleep set with capped sleeves. The v-neckline was tasteful, rather than revealing. She expected to see him stretched out on the sofa when she descended the stairs from the master suite. Gideon was organized, so it was odd to think he required extra time in the bathroom. Her graphite color couch was unoccupied. Crossing to the darkened kitchen area, she hesitated a moment outside of the guest suite. She gave a quick rap on the door and waited.